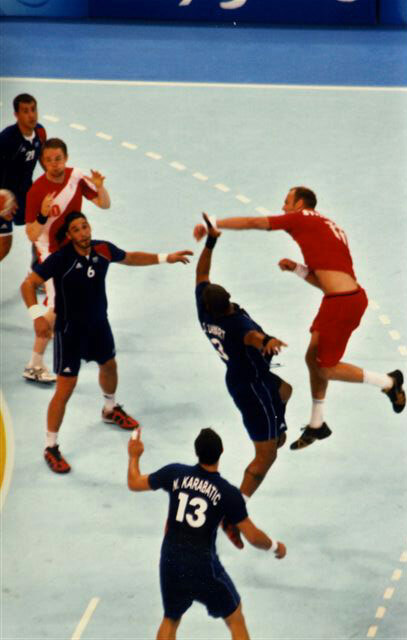 ball past France's Didier Dinart. 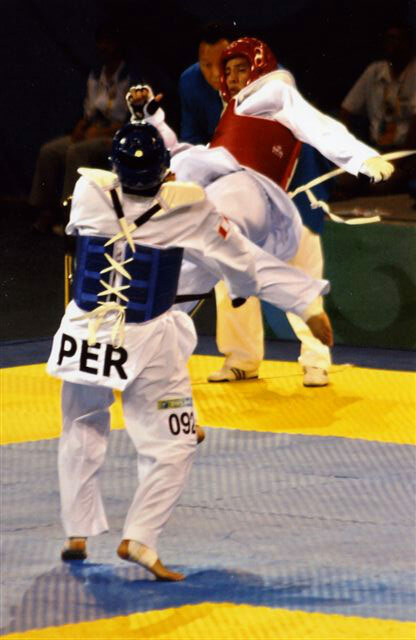 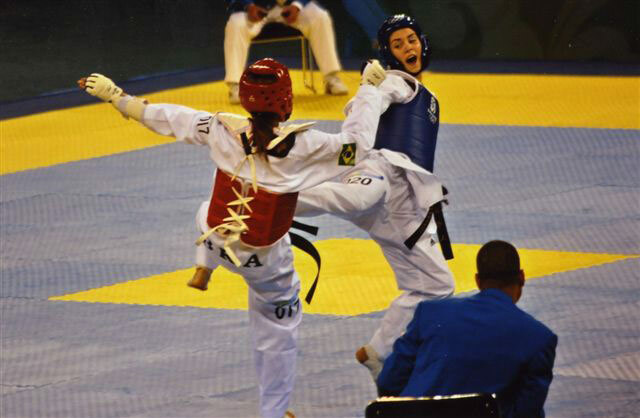 the 2008 Olympic taekwondo action. 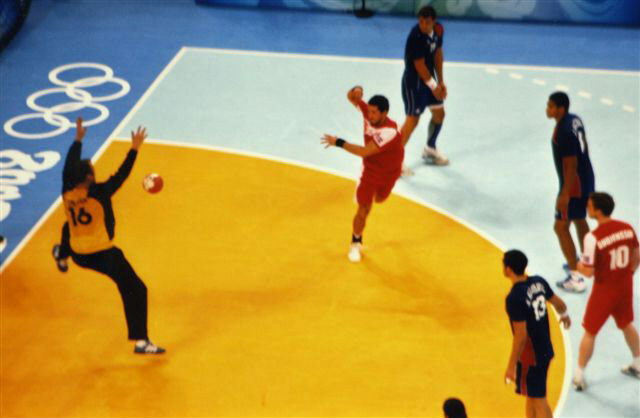 The crowd roared loudly for Lopez.